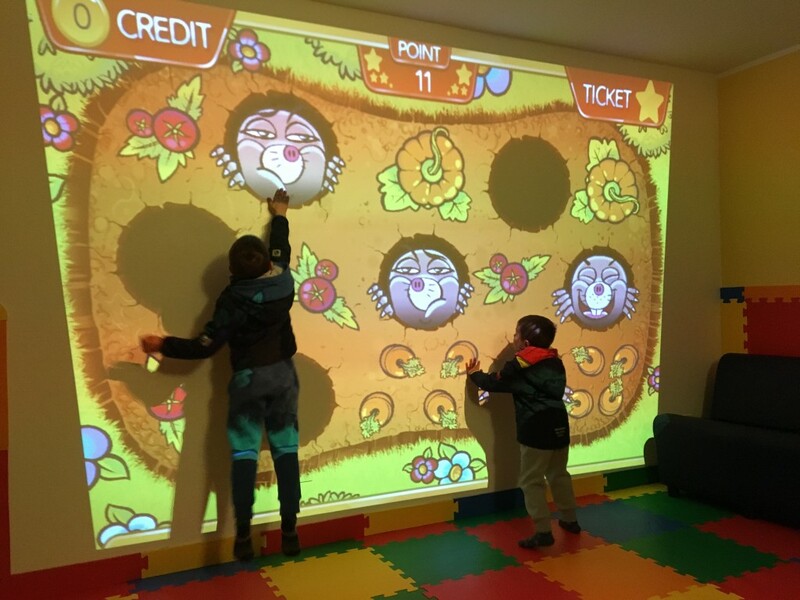 After a day packed full of adventures on the Paganella plateau, our youngest guests can spend some time in the rooms dedicated to them. 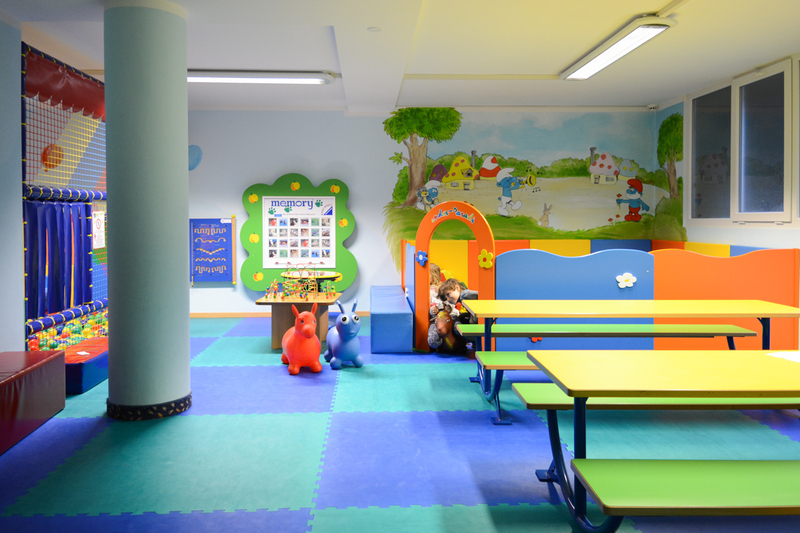 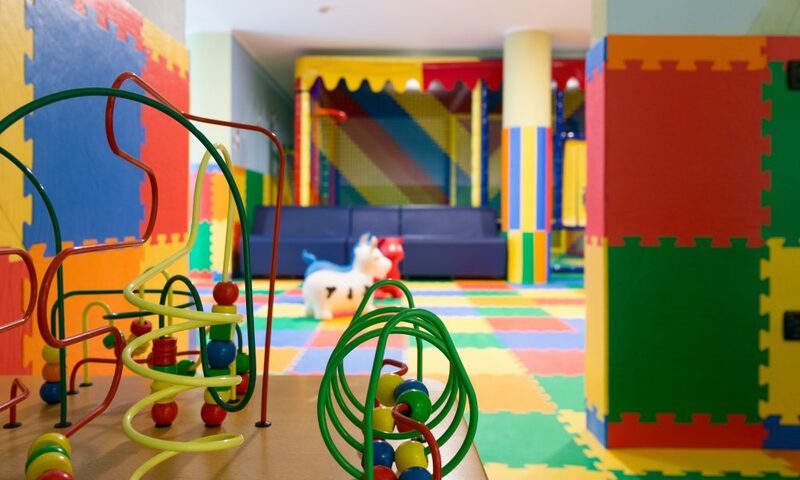 Our games room is a mini paradise of fun for children and youngsters aged 4-12, with entertainers to ensure they have a good time. 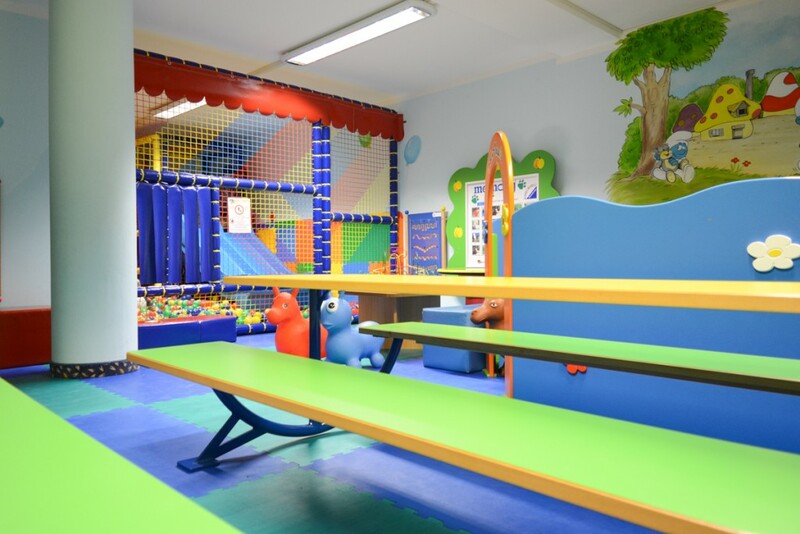 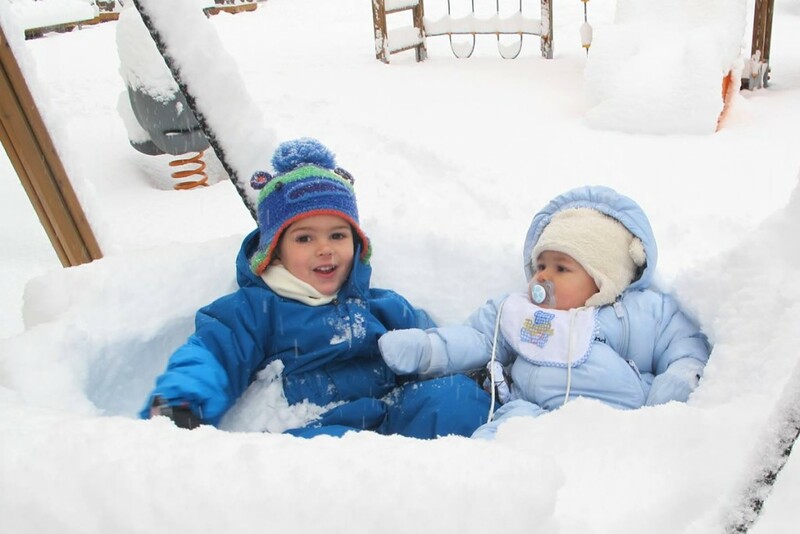 Younger children (under 4) are also welcome if accompanied by their parents. 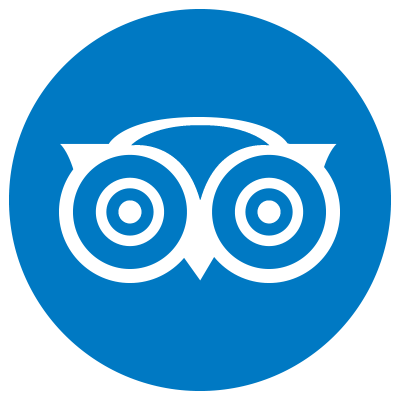 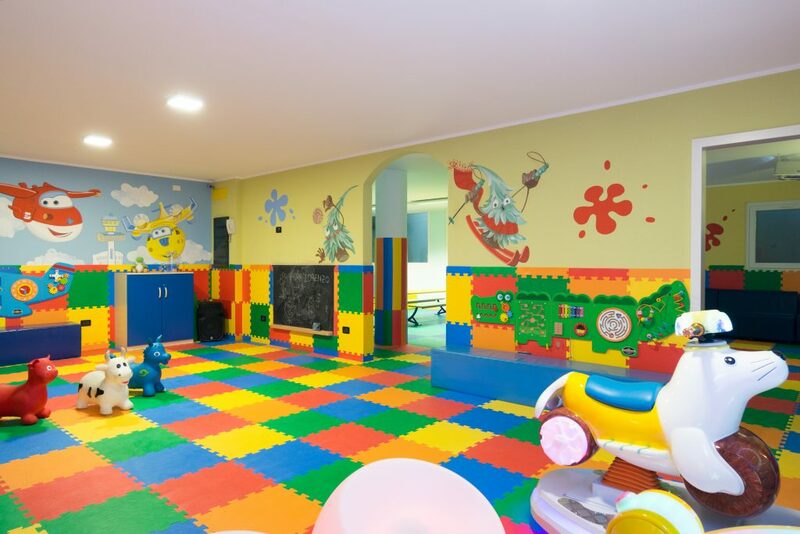 Our room has a rubber floor and is well-equipped with a mini-gym, giant Lego corner, various games and a brand new ball pool. 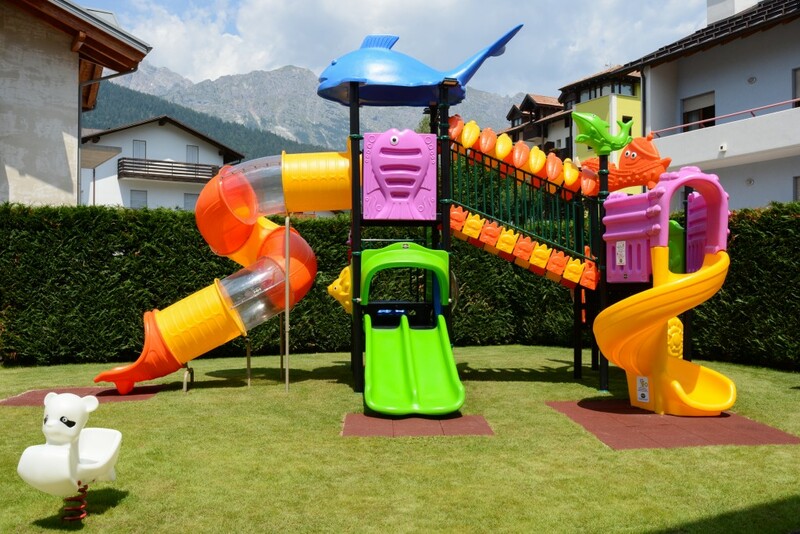 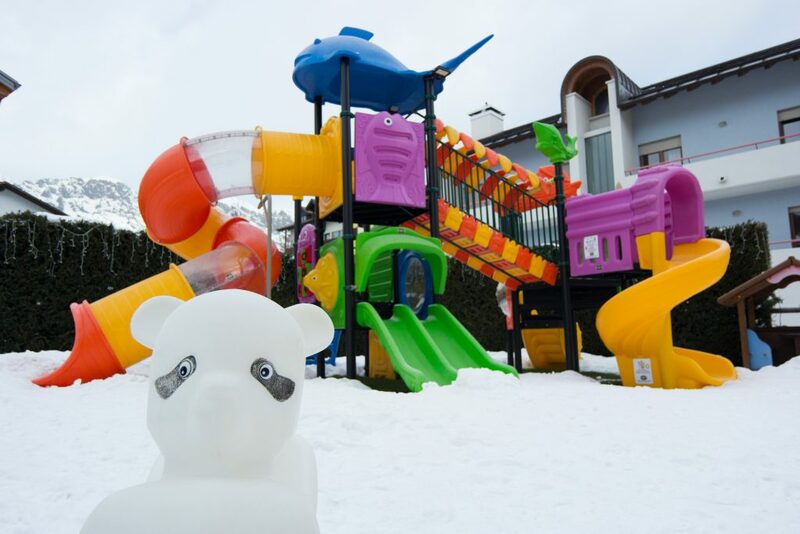 We also have a lovely outside play area with a view of the Dolomites where,in between a go on the slide and a few bounces on the trampoline, you can catch a few rays stretched out on the grass, or read a book on our comfortable reclining chairs, soaking up the peaceful environment and the crisp mountain air. 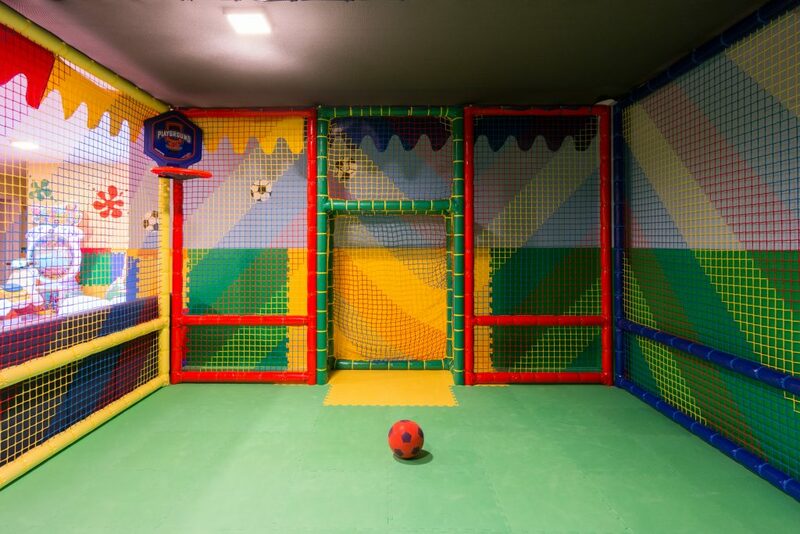 Our games room is a mini paradise of fun for children and youngsters aged 4-12, with entertainers to ensure they have a good time. 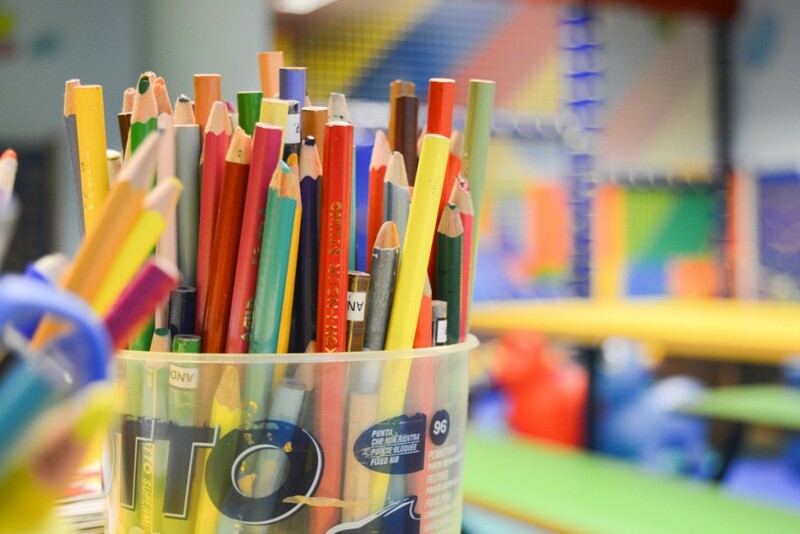 Younger children (under 4) are also welcome if accompanied by their parents. 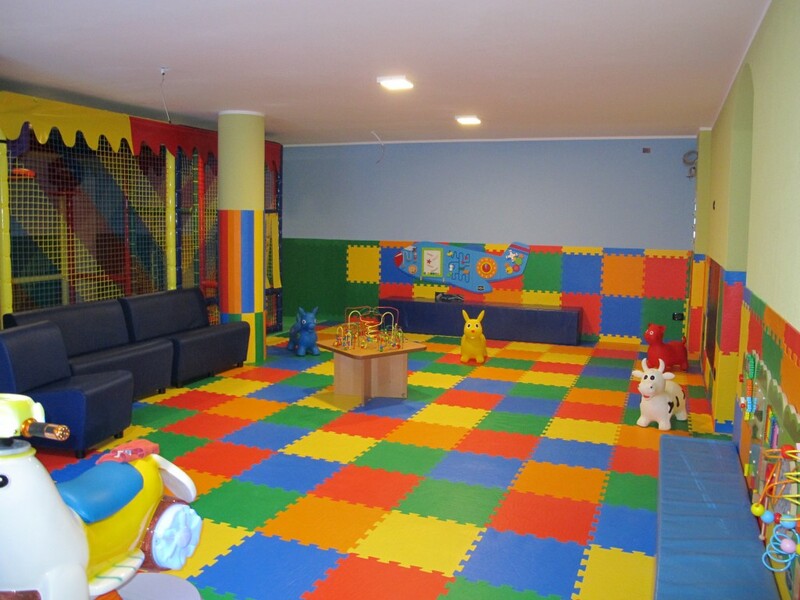 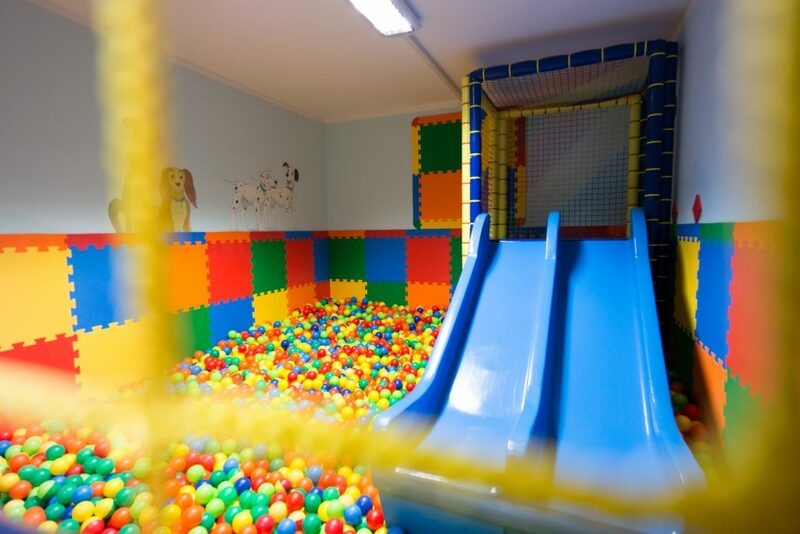 The room has a rubber floor and is well equipped with a mini-gym, giant Lego corner, various games and a brand new ball pool. 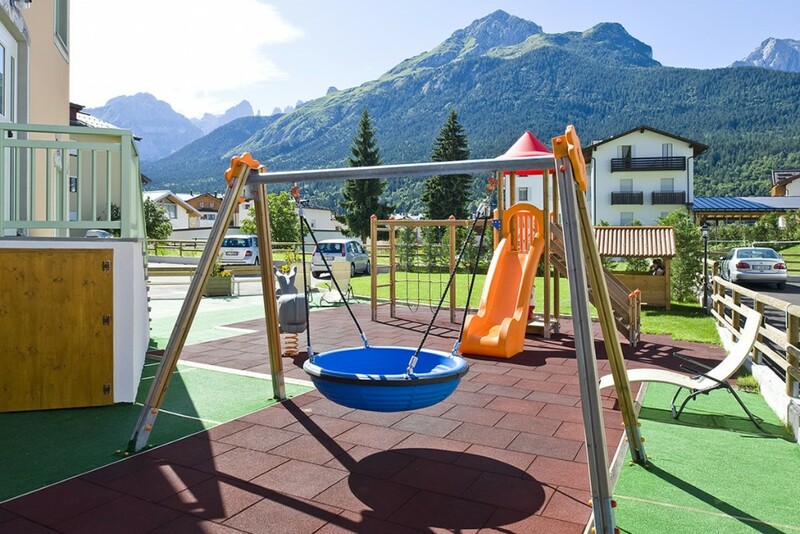 We have a lovely outside play area with a view of the Dolomites where, in between a go on the slide and a few bounces on the trampoline, you can catch a few rays stretched out on the grass, or read a book on our comfortable reclining chairs, soaking up the peaceful environment and the crisp mountain air. 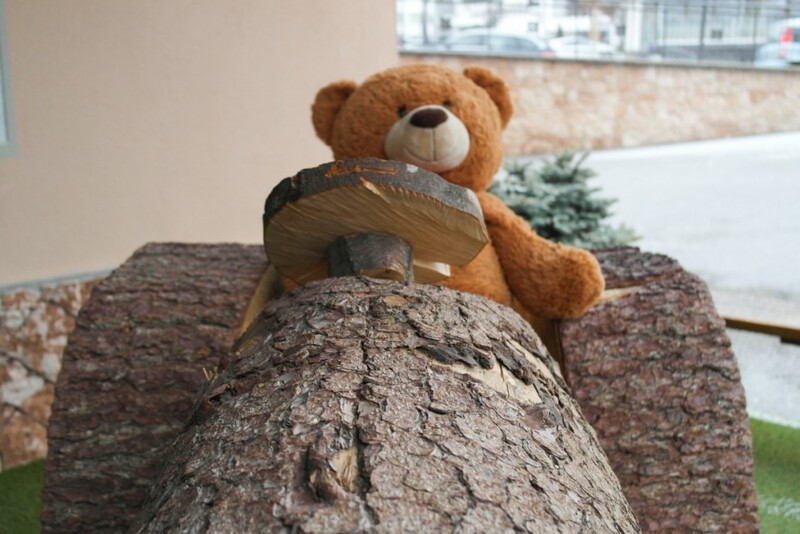 In the morning our entertainer organises family-friendly walks. 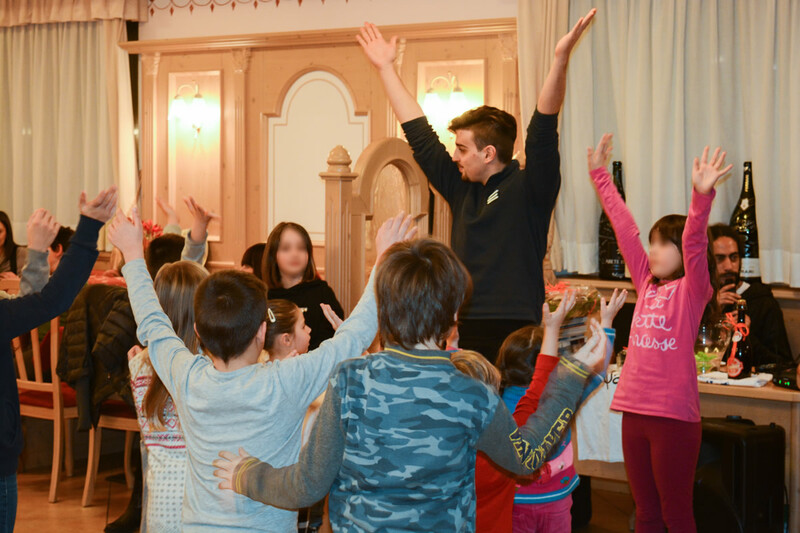 Games, projects and baby dancing take place in the afternoons and evenings, and we offer group participation in the various activities organised by Andalo Vacanze.